Keep updated with the latest news locally, media coverage and news from Parliament. Today (11 April 2018) I visited the Co-Op in Mold to support them in their goal of raising awareness of autism. This followed on from World Autism Awareness Week (which took place on 26 March – 2 April 2018). There are around 700,000 people on the autism spectrum in the UK – that’s more than 1 in 100. If you include their families, autism is part of daily life for 2.8 million people. It is a hidden disability and 70% of autistic adults say that they are not getting the help they need and it makes them feel isolated. The Society has urged retailers to provide an autism hour – where music is turned down and other noise in minimised, lights are dimmed, and shops share information with customers about autism. 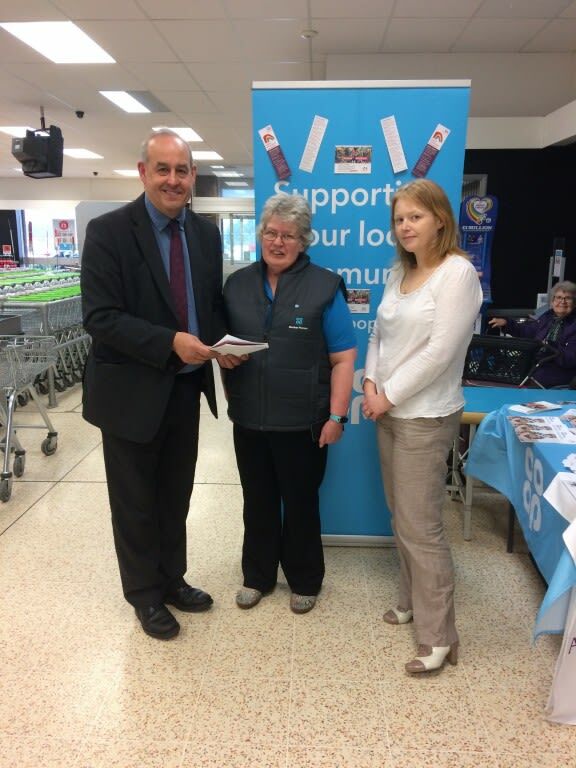 The Co-Op is hoping that they can build on the success of Mold becoming the first of many towns in Delyn to become Dementia Friendly towns so that Mold can become a town which is truly welcoming of all people. They will be investing in improved signage for the store and the inclusion of a store map, which helps to minimise the stress people with autism can face whilst shopping, as well as taking part in many other initiatives. As a lifelong member of the Co-Op I am proud to see our local store in Mold leading the way in improving their service for all members of our community. The steps they are taking to help and support people with autism in their shop is commendable. Not only that, but they are hoping to build support across Mold to ensure that it becomes a beacon for other communities on how to ensure that everyone can benefit from what the town has to offer. Mold has already lead the way when it comes to being a Dementia Friendly town and I hope that more retailers in the town will join with the Co-Op. Autism is all too often overlooked. We need to raise awareness of this disease so that we can secure a better life for those with it and for their families and friends.